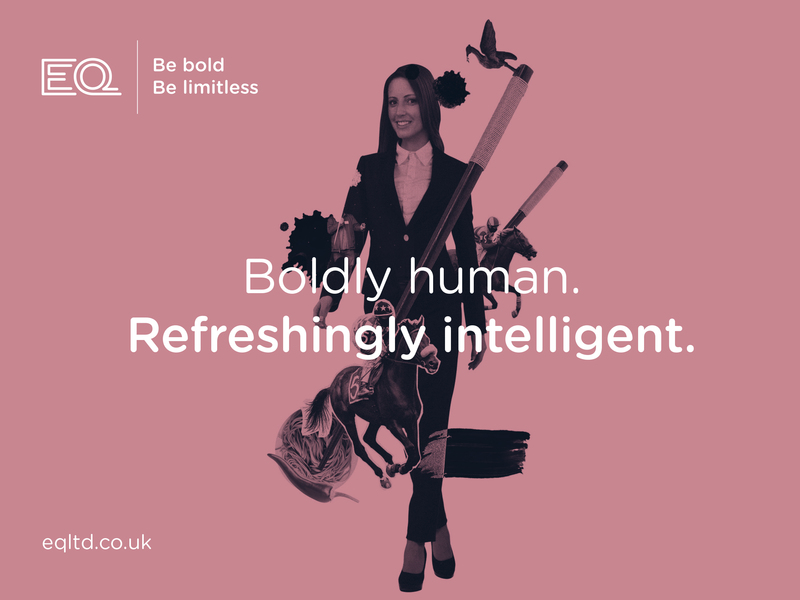 Using emotional intelligence to transform legal firms and enable them to thrive. 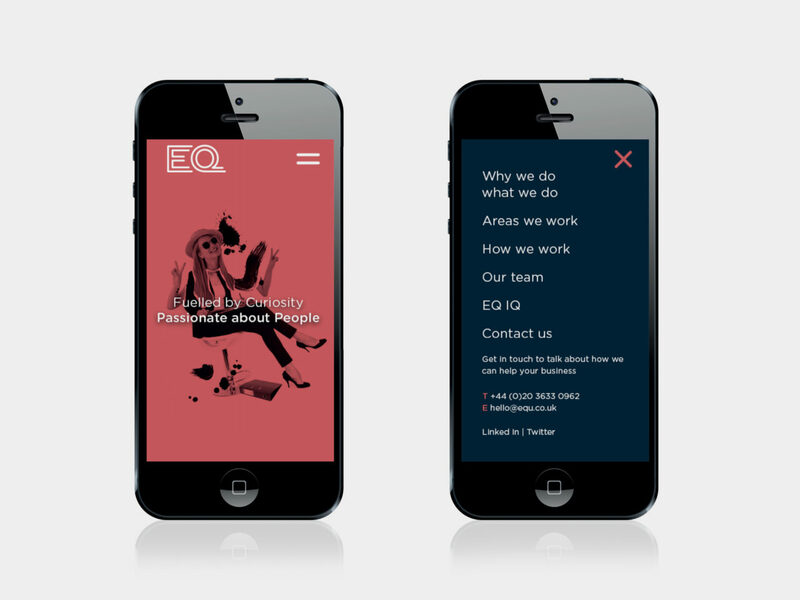 EQ stands for emotional intelligence, but it’s much more than that. 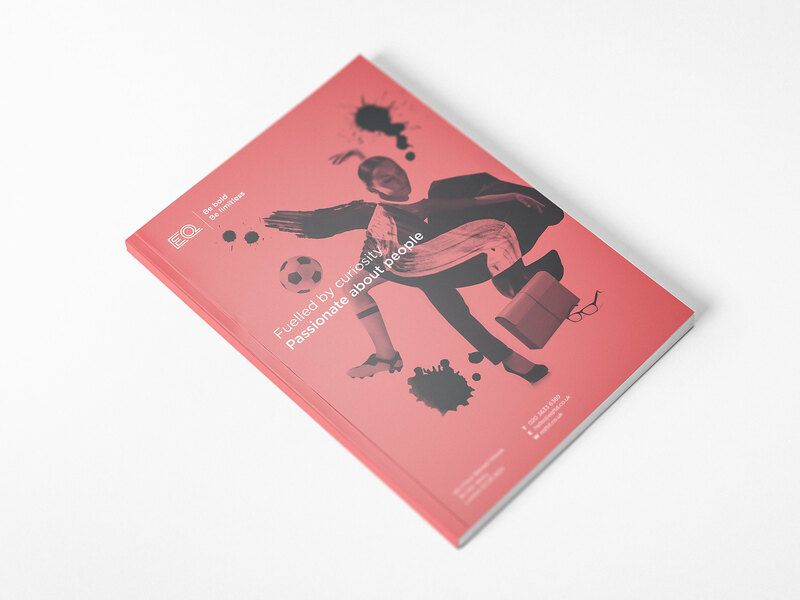 EQ sees how emotional intelligence builds resilience, improves communication and nourishes personal relationships, both within the office and outside. 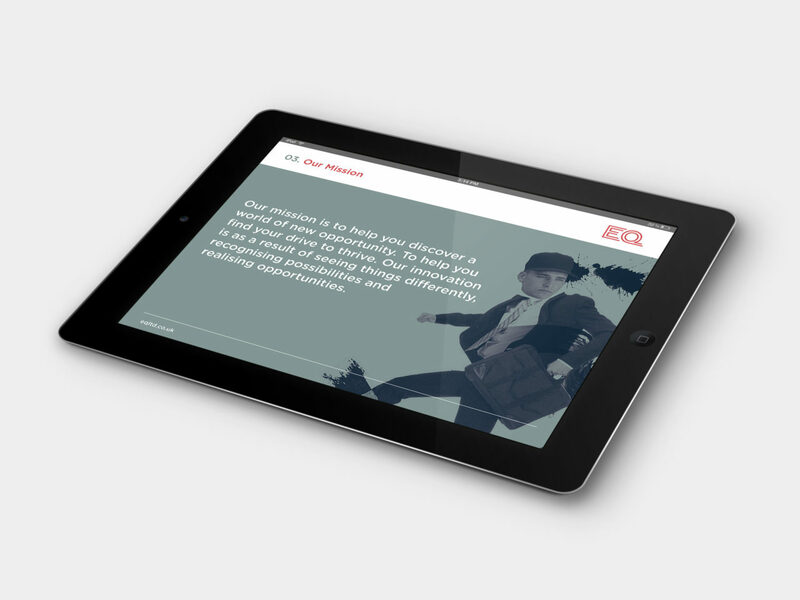 Their mission is to help legal firms discover new opportunities. 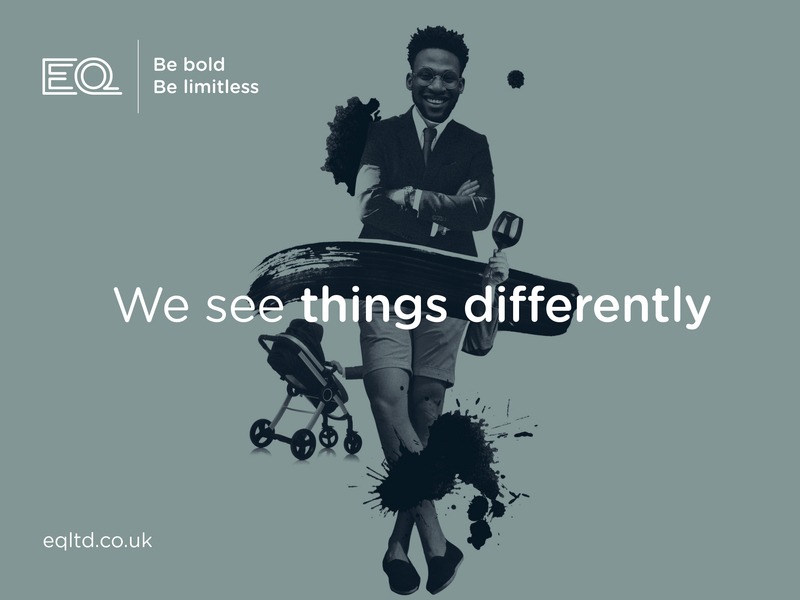 They see things differently, recognising possibilities and realising opportunities and are fuelled by curiosity. 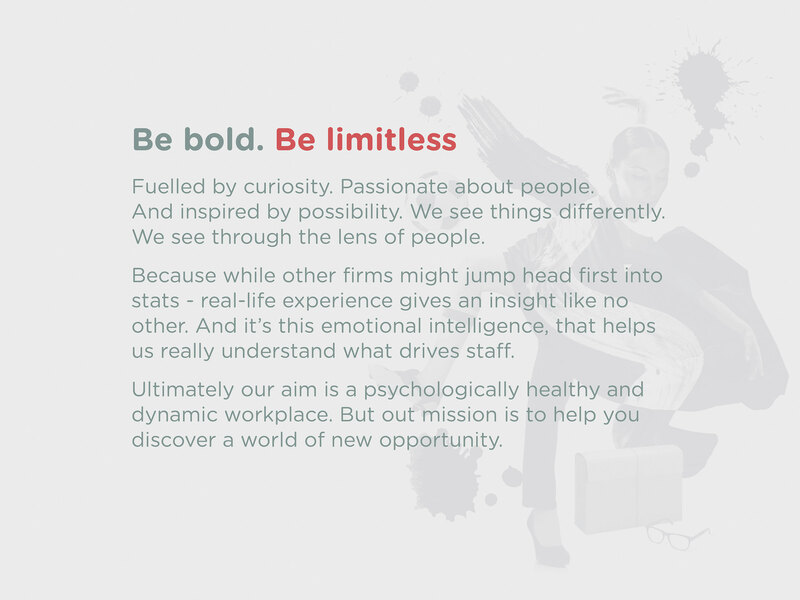 The true passion is people and by nurturing a psychologically healthy and dynamic workplace they believe they can enable firms to thrive without limits to its possibilities and profitability. 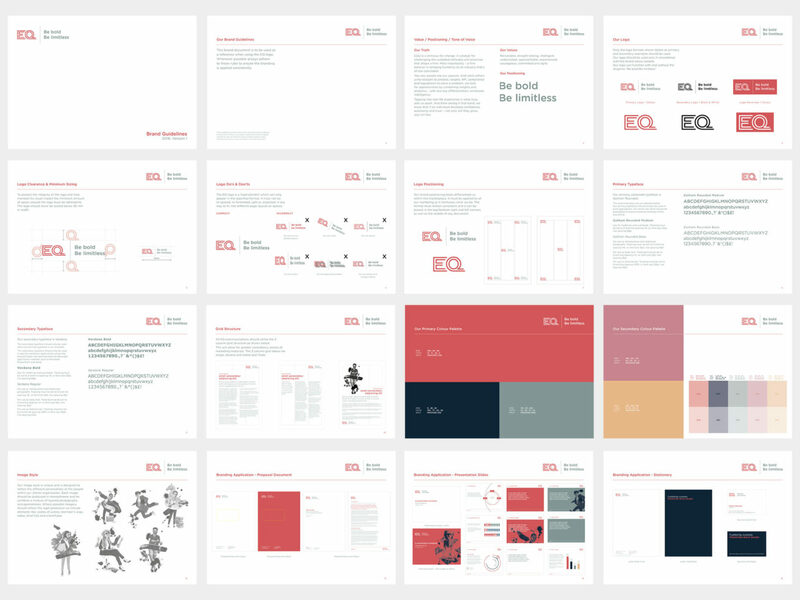 We worked with the directors at EQ to deliver a full branding program that included naming, brand strategy and position through to design of core marketing assets and messaging development. 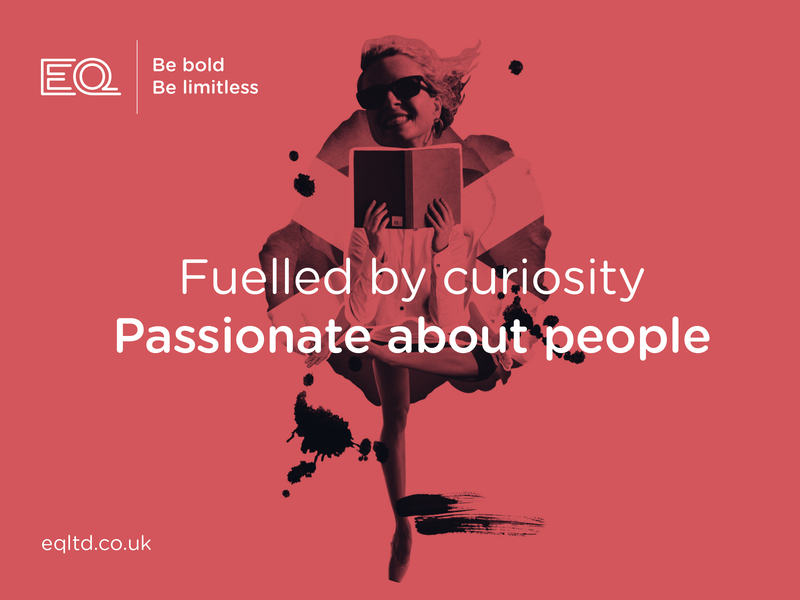 Our work is naturally focused around people and their diversity. Each individual within an organisation will have different talents, skills and personalities. There’s more than meets the eye. You need to dig deeper to find that inner spark. We developed a bespoke image library that feels fluid and natural despite the combination of different elements that have been dissected and put back together to make each example. 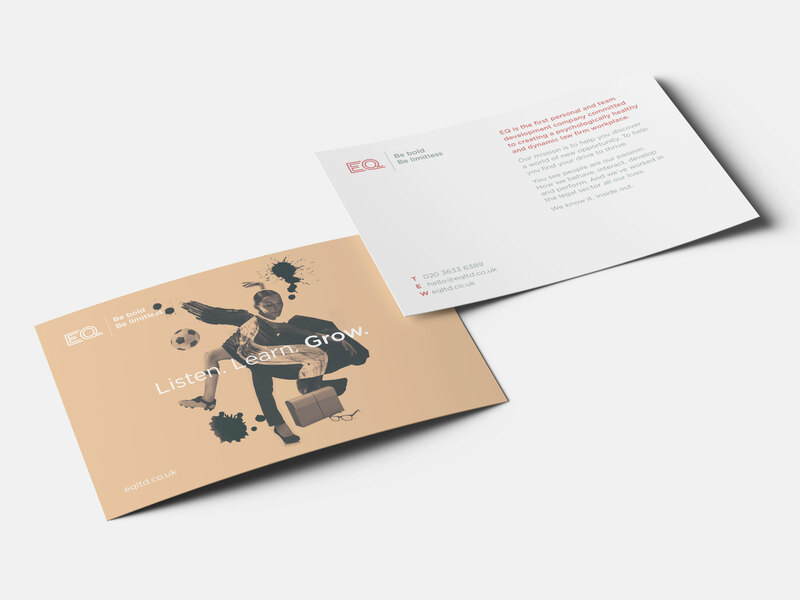 Our photographic collage style and straight forward messaging creates a buzz of energy that reflects EQ’s distinctive creative service and approach.